Knesset plenum debates possible attack on Iran. 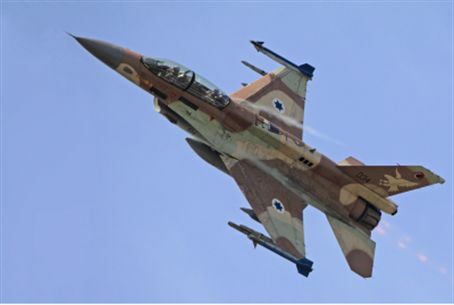 Minister Eitan: "We will try to enlist international community, but…"
The Knesset plenum debated Wednesday the possibility of a strike against Iran, which is preparing nuclear weapons and has stated its intent to destroy Israel. The discussion was prompted by motions filed by MKs Zevulun Orlev (Jewish Home), Eitan Cabel (Labor) and Zeheva Galon (Meretz). Minister Michael Eitan (Likud), representing the Prime Minister's position, said: "We will make every effort to enlist the international community, but Israel must make it clear that every option is on the table." MK Orlev said there is no real dilemma, "The state of Israel cannot allow itself to be under a nuclear threat by a country whose heads openly declare their intent to destroy us. We hope that the world will take care of the problem but our experience teaches us that we cannot trust the world. If the world does not act, we must not sit on our hands. This is not a matter for discussion in the plenum or in newspaper headlines regarding how it should be done. If Israel decides to what needs to be done, no one need know about it." MK Cabel blamed Prime Minister Binyamin Netanyahu and Defense Minister Ehud Barak for placing the issue on the public agenda. The two "blabbed their heads off and then cried about why everyone is blabbing," he said. "They blame us Knesset Members for leaks, but… the leaks are from the top of the pyramid." MK Zehava Galon (Meretz) said that there needs to be a public discussion regarding a possible attack because "the public is not a flock of sheep." She said that Israel's last three wars were avoidable and warned that "when there was no public debate and irresponsible governments acted militarily, it ended with an investigative committee." Minister Eitan said: "In today's world the debate cannot be prevented. People want to express their opinions... However, a public official who received information as part of his job needs to think before he speaks..."
He was referring to former Mossad chief Meir Dagan, who has been blamed for bringing the issue of a possible attack into public debate.